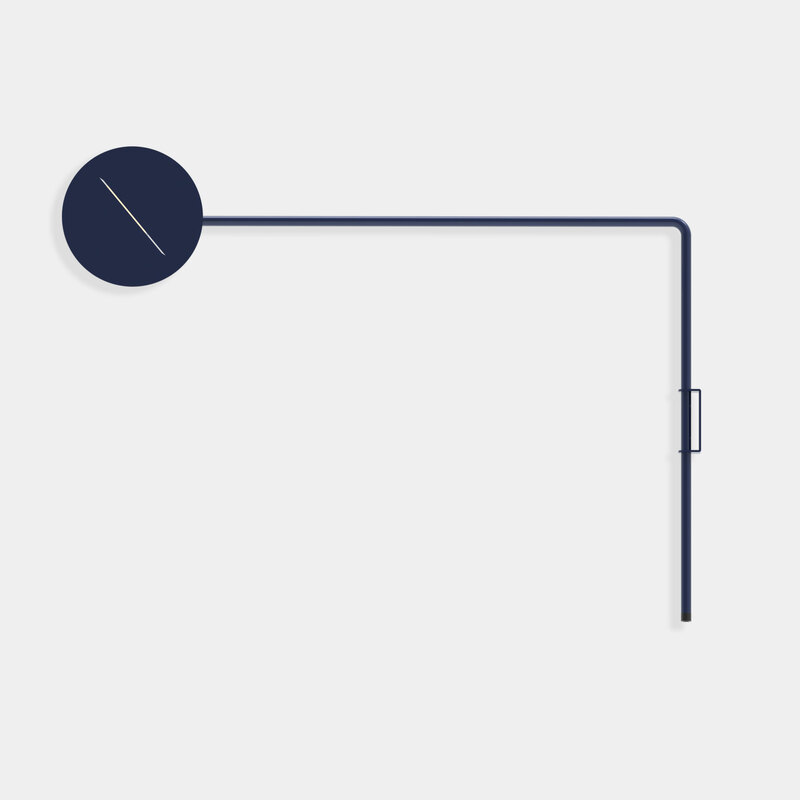 Untitled Eclipse is a versatile and functional wall mounted lamp. 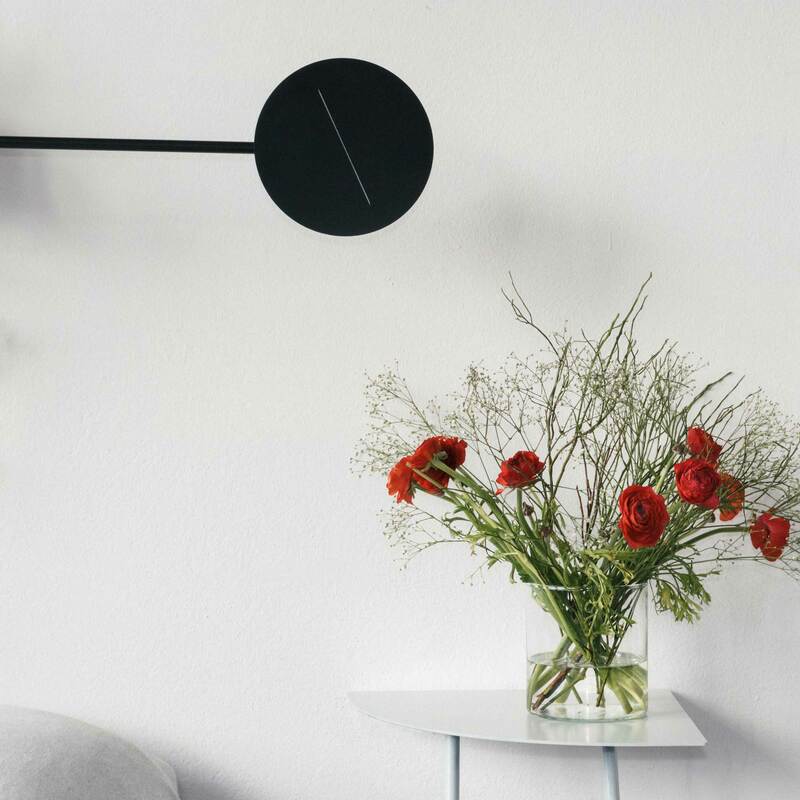 The design uses vertical and horizontal lines meaning the base stem can be mounted either way on the wall as desired. Marc Schulthess has the greatest admiration for the dynamism of Serge Mouille’s designs and the minimalism of Jean Prouvé’s, Untitled Eclipse is a clin d’oeil to these design icons. 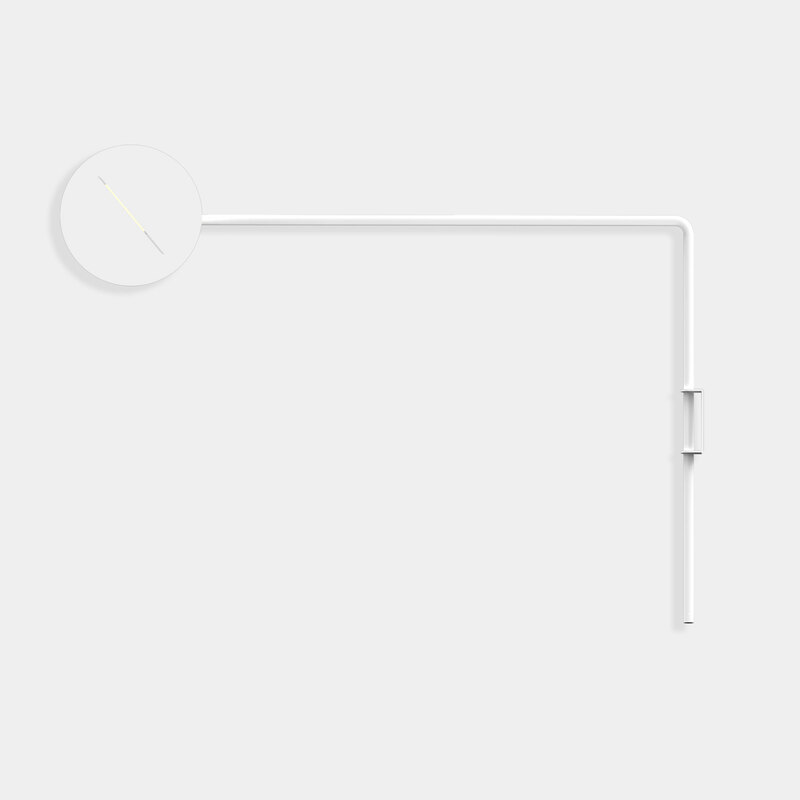 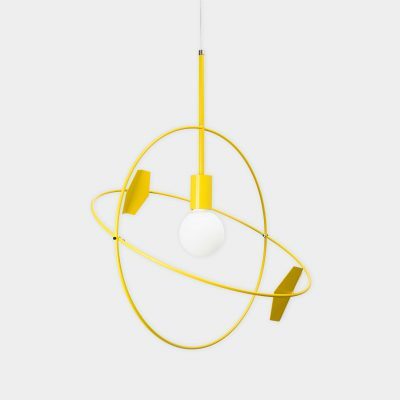 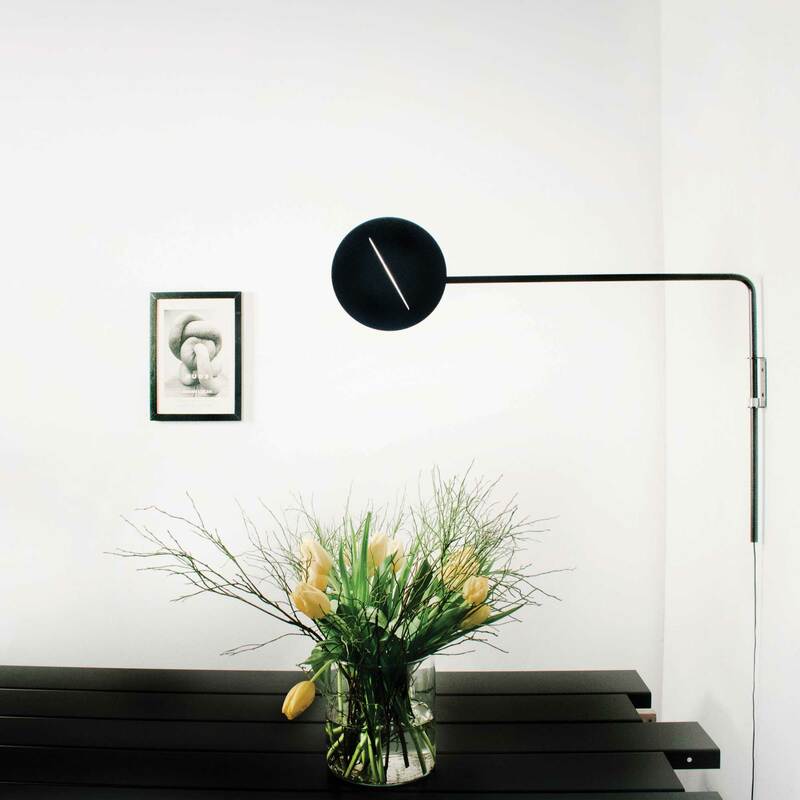 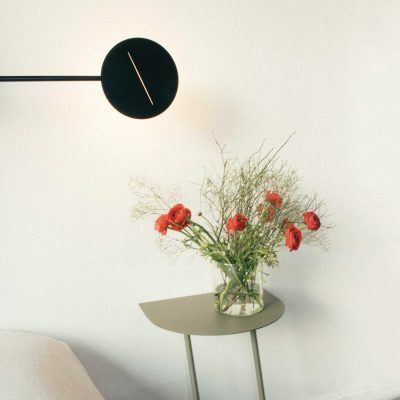 The lamp is reduced to a simple expression : the stem is a humble L shape with the shade a thin metal disc which di uses and sculpts the light through its thin cut. 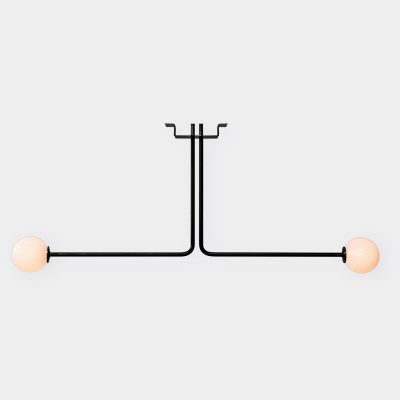 The lamp comes in three colours: black, white and midnight blue. 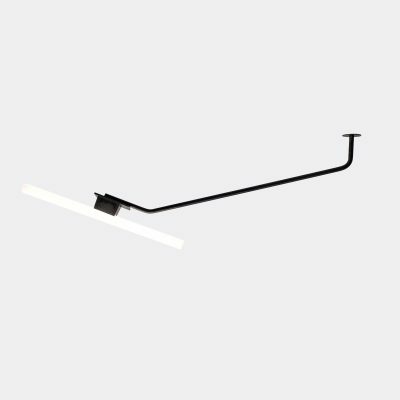 It can be adjusted vertically making it possible to use in di erent settings: above a bed as a reading light, above a table or a sofa, in kitchen or in a hallway.